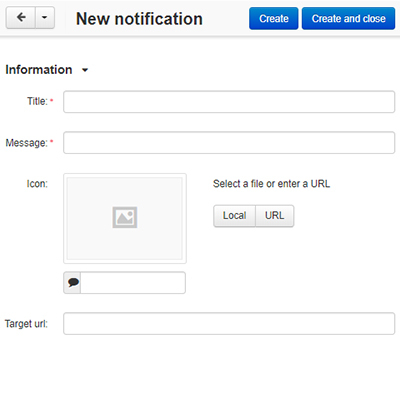 CS-Cart Web Push Notification: This impressive add-on allows admin to send push notification directly to the browser. The biggest benefit of push notification is the ability to deliver notifications immediately. Unlike emails that sometimes fail to deliver or go to the spam folder, its prompt and assured content delivery feature ensure that notifications are for sure delivered to the user. As long as the browser is running, the subscribed user gets a pop-up message from the website without having the site open. This improves the user engagement and retention. 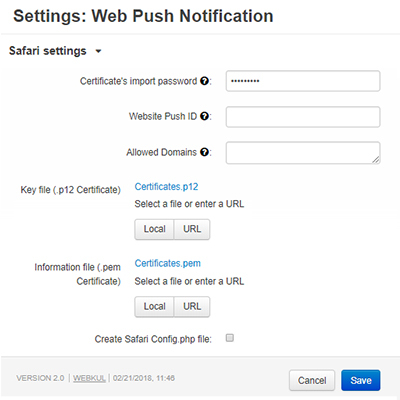 Please Note- In order to allow Web Push Notifications for Safari browsers, you will require the Safari Certificates. If you do not own the certificate then you can purchase it from Webkul. The validity of that certificate will be 5 Years. If you want to create your own certificate, then you need to have Apple's developer account with an individual membership plan worth 99 USD per membership year. For knowing how to create your own certificate, please refer the User Guide Manual. Works well with Mozilla Firefox, Safari, and Chrome browsers. No monthly subscription required to notify customers. 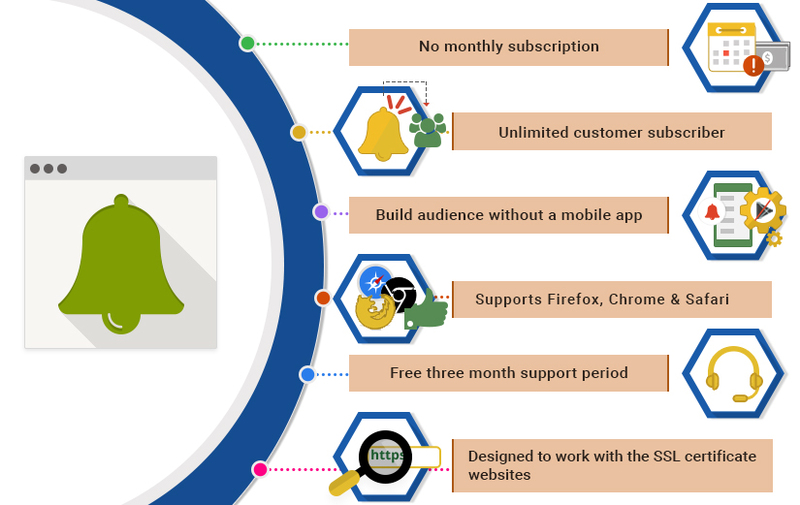 An unlimited number of customers can subscribe to your site. 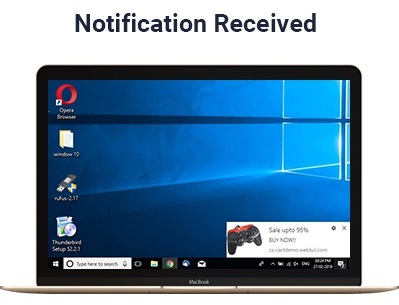 If the user is offline at the time of sending a notification, he will see the notification as soon as he comes online and opens the browser. The admin needs to do some general setting for proper configuration of the add-on. Separate settings options have been provided for Google Chrome, & Safari as shown in the image. 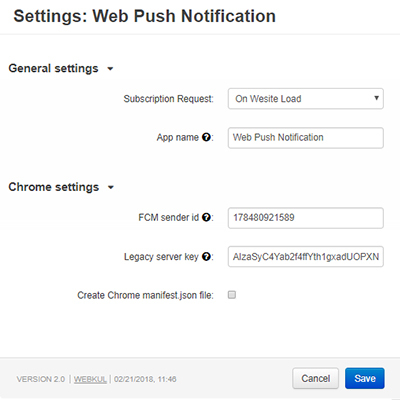 Subscription Request– There are two options for requesting the user for allowing Push Notification. You can either request on Website Load or by adding a notification bell icon. To add the icon you simply need to add a template block in the layout as explained in this post further. App Name- Give the application name for the manifest file. Enter the sender id for Firebase Cloud Messaging. Enter the Legacy Server Key for Firebase Cloud Messaging (FCM). Click the link to know how to get these credentials. Check the box to Create Chrome manifest.json file. You need to create this file every time you change the settings. Enter the Certificate’s import password which is kept while exporting the CSR file. If you have not kept any then you may keep this field as blank. Enter the Allowed Domains in quotes (” “) separated by a comma (,). Upload the Key file and Information file. There is an option to set title, a short message, icon image and a target URL for the push notification. When the admin installs & configures this add-on successfully, the users will be asked whether to receive notifications from your store or not. Once the users have permitted, they will start seeing your push notifications on their web browser window or the desktop screen itself. The user will get notification even if your store website is not open in any browser but the browser is open. Notifications will stay visible for a few seconds, after that they fade away. Did you buy CS-Cart Web Push Notification?